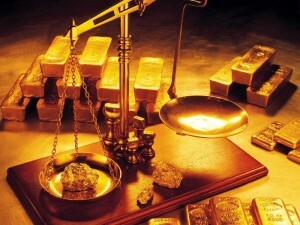 A “Key Person” is worth his/her weight in gold! In most companies, continuous success is often dependent upon a handful of key people. These business owners or employees possess valuable knowledge, skills, and/or experience that directly impact the bottom line, growth, and culture of the business. How would the loss of a key person impact your overall profitability, future growth, and morale? Would you be at risk to lose any customers if their relationship with your key employee was lost? What do you have in place to protect your business from the loss of a key person? Regardless of the size or type of business, an impact can be felt by the loss of a key owner or employee but steps can be taken to reduce the associated risks. Keeping Your Business Doors Open – No Matter What! Key person insurance allows operations to continue running smoothly without major disruption, which of course, brings tremendous peace of mind to business owners. Should death or disability suddenly occur, key person insurance could be the difference between the company’s downfall or its’ enduring success. Key person insurance, also referred to as key man insurance or key employee insurance, offers companies protection in the event of an untimely death or disability of a top salesperson, senior executive, or business owner. Just imagine the devastating impact a business would suffer from the loss of someone who has fostered unique relationships with creditors and customers, or had a major role in generating profits. Companies typically use the financial payouts from these polices to cover a decrease in revenue and costs associated with searching and hiring an adequate replacement. Illness or injury can strike at any time. With this type of policy, the business pays the total premium and is the beneficiary. If the key employee becomes totally disabled (unable to perform the substantial and material duties of his/her key person occupation and not working in any other occupation which is conparable by duties and/or earnings for the business), the business receives the policy benefits, which are generally tax-free. A common, lump-sum payout would be 2x the key person’s salary. The business obtains a life insurance policy on the life of the key person. The business is both the owner and beneficiary of this policy and will consequently receive the entire death benefit. A common, lump-sum payout would be 5x – 10x the key person’s salary. If someone is identified as a “key person” within the organization, it makes sense to obtain both life and disability to guard against the obvious financial downfalls that typically follow injury or death. The application process and costs are similar to that of obtaining a personal life or disability policy. However, it is noteworthy that the key person does not have any interest in either of these policies, nor does his/her family receive any benefit from it when injury or death occurs. Can your Bottom Line Survive the Loss of a Key Person? Every business obtains a particular level of success based on some key people and the loss of any one key person can result in the loss of revenue! It’s common to insure your vehicles, materials, property and loss of income but it’s ironic that a factor that directly impacts your revenue – the disablement or death of person(s) that drives your revenue – is left unprotected. Unfortunately, the cost to replace this intangible human asset is often not thought of until it’s too late even though the cost of securing key person insurance policies is relatively small when you compare the benefits received should a key person die or become totally disabled. As your Trusted Adviser we are committed to much more than simply placing your commercial insurance with the appropriate carrier–we’re here to partner with you in managing your risk and protecting the future of your business. If you would like to establish a customized and confidentional appointment regarding key person insurance solutions, please contact us at: 800-95-TOOLE or riskmanagement@tooleinsurance.com.